In this article, we will show you, How to write a Palindrome Program in Python using While Loop, Functions and Recursion. Any number can be Palindrome in python, if it is remained same when we reversed it. For example 131 is a palindrome number because, this number remains same after reversing it. Compare original value with reverse value. If they exactly matched then it is Palindrome number otherwise, it is not Palindrome number. 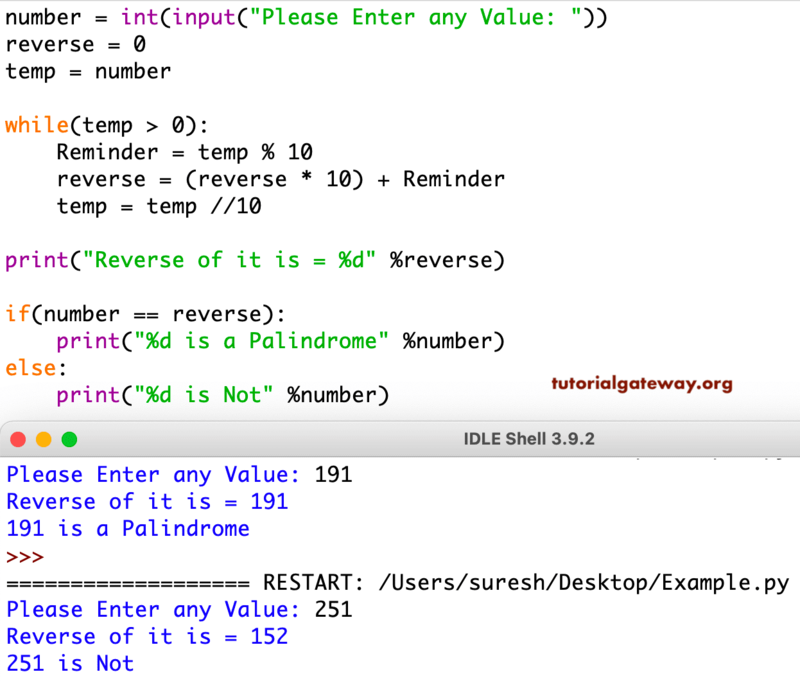 This Palindrome program in Python allows the user to enter any positive integer. In this Python palindrome program, we defined a function. Within that function, we used If statement. In this Python Palindrome program we are checking whether a given number is Palindrome Number or Not using Recursive Functions concept. if (Number > 0) will check whether the number is greater than 0 or not. For Recursive functions it is very important to place a condition before using the function recursively otherwise, we will end up in infinite execution (Same like infinite Loop).